Universal Television is the television production arm of the NBCUniversal Television Group, and by extension, the NBC television network (since a majority of the company's shows air on NBC, and accounts for most of that network's primetime programming). It was formerly known as Revue Studios, NBC Studios, NBC Universal Television Studio, and Universal Media Studios. Both NBC Studios and Universal Network Television are predecessors of Universal Media Studios. 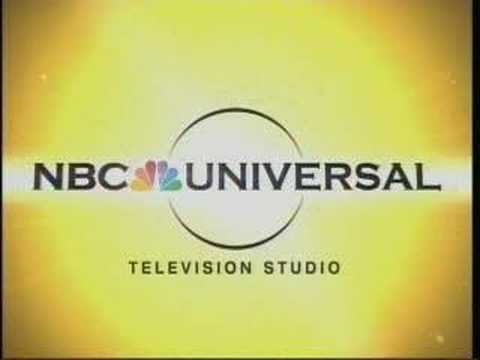 The name was changed in 2004 to reflect the NBC Universal brand. On Thursday, June 14, 2007, NBC Universal Television Studio, in immediate effect, was renamed Universal Media Studios. The parent company, NBC Universal, explained that the reason for the name change of the production arm was because "the new name fully describes the company's mission to be the premier content provider for television and digital platforms, spanning all television dayparts and creative genres." The first series ordered under the new name was supposed to be the upcoming Without Breasts There Is No Paradise. From 2009 to 2011, UMS distributed syndicated fare such as The Jerry Springer Show, The Steve Wilkos Show, and Access Hollywood. On Monday, September 12, 2011, Universal Media Studios was reverted back to the original moniker name Universal Television. Revue Studios was founded in 1943 by MCA to produce live radio shows. The partnership of NBC and Revue extends as far back as September 6, 1950, with the television broadcast of Armour Theatre, based on radio's Stars Over Hollywood. The company was renamed Revue Studios after MCA brought the Universal Studios lot in 1958. Four years later in 1962, following the acquisition of Decca Records, the then-parent of Universal Pictures, Revue was officially renamed Universal Television. During the early years of television, Revue was responsible for producing and/or distributing many television classics. The most noteworthy of such, included Leave It to Beaver, which ran for only one season on CBS before going to ABC from 1958 until 1963. In addition, Revue also made Alan Hale, Jr.'s Biff Baker, U.S.A. (1952-1953) and all three of Rod Cameron's syndicated series, City Detective (1953–1955), State Trooper (1956–1959), and COronado 9 (1960–1961) and the Bill Williams western series, The Adventures of Kit Carson (1951–1955). It produced Edmond O'Brien's syndicated crime drama Johnny Midnight, based on a fictitious New York City actor-turned-private detective. Another of its offerings was the 52-episode Crusader, the first Brian Keith series, which ran on CBS from 1955-1956. Revue also produced later seasons of The Jack Benny Program for CBS and NBC and in co-operation with Jack Benny's J and M productions Checkmate, General Electric Theater and Alfred Hitchcock Presents for CBS, Studio 57 for DuMont, and westerns such as Tales of Wells Fargo, The Restless Gun and Laramie for NBC, as well as Wagon Train for NBC and ABC, and the first two seasons of NBC's The Virginian, based on a film released originally by Paramount Pictures, whose pre-1948 theatrical sound library was sold to MCA in 1957. Wagon Train was the only Revue-produced TV show ever to finish an American television season in first place. The first incarnation of Universal Television was an American television production/distribution company that was reincorporated from Revue Studios in 1962, a year after MCA bought Universal Pictures and its then-current parent Decca Records. Among their many contributions to television programming included production of the first motion picture made exclusively for television , the first series with revolving stars , the first rotating series with an umbrella title (1969's The Bold Ones) and the first two-part TV movie . Uni TV also co-produced many shows with Jack Webb's Mark VII Limited such as Adam-12 and a revival of the 1951 series Dragnet. In 1990, Uni TV began the Law & Order franchise. In 1996, MCA was reincorporated as Universal Studios. The same time around, Universal was acquired by Joseph A. Seagram and Sons and later acquired the USA Networks and Multimedia Entertainment. In 1997, the company formed Universal Worldwide Television. In 1998, Universal sold off its USA Networks and Universal Television to Barry Diller and renamed it Studios USA. On May 12, 2004, GE formed NBC Universal Television. However, the company decided to keep the NBC and Universal Television names as appropriate in the end credit copyright notices on series produced by NBC or Universal (such as House and Angela's Eyes). Both names appear in the copyright notices for the co-productions American Dreams and The Office, although only one logo has ever appeared on the latter—for the first two seasons of the former, both the Universal and NBC logos appeared. NBC Productions was an American/television production/distribution company that was founded in 1947 by RCA (NBC's former parent company). In 1996, the company was renamed NBC Studios. In 2004, NBC Studios was merged with Universal Network Television to form NBC Universal Television Studio. MCA TV , was an American television production/distribution company that was founded in 1951, several years before parent MCA's purchase of the US branch of Decca Records and Universal Pictures . For more than four decades, it was one of the most active producers of television programming. MCA TV's other television divisions included Universal Television and MCA Television Enterprises. In 1997, MCA TV was renamed to Universal Television Enterprises. MCA Television Entertainment was the specialty division of MCA Television Ltd., focusing on TV movies for cable and network television, as well as direct to video fare. It was formed in 1987. Like MCA TV, in 1997 it was renamed Universal Television Entertainment. Studios USA was an American film and television production/distribution company formed by Barry Diller when he bought Universal Television and the USA Networks from Seagram's Universal Studios in 1998. It produced and distributed talk shows. It also produced shows formerly from Universal Television. The company also formed USA Films and USA Home Entertainment. In 2002, Vivendi Universal acquired Studios USA and the rest of USA's non-shopping assets, and reverted the remaining series produced and/or distributed by Studios USA to Universal Television. Whole or part of the information contained in this card come from the Wikipedia article "Universal Television", licensed under CC-BY-SA full list of contributors here.